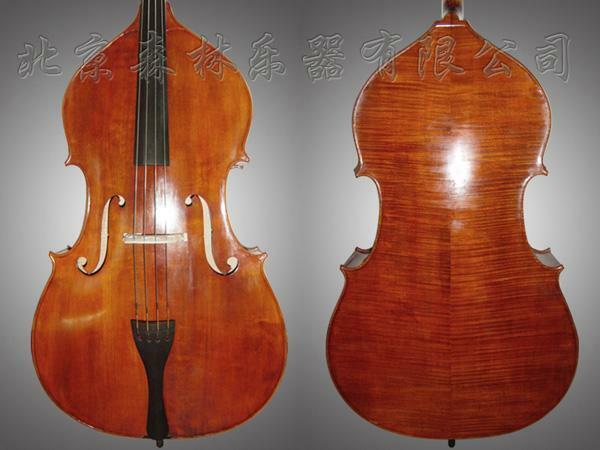 The 300-year-old front was used to be the girder ( spruce)in some Chinese traditional houses about 300 years ago, which was found as violin making materials by Mr Maoling Song in 1980's firstly in China. He made some violins and violas for some violinist, who thought such materials, are the best one for tone. Such violins' tone is exquisite, balanced, which is very suitable for professionals and violinist for solo violinists and collection. Miss Ma Sha playing a viola made by such materials won third place in the international competition in 2001 in Kazakstan, also a viola played by Mr. Lizhou Liu, the first violist of the American Chinese Symphony made by Mr. Song in 1985.